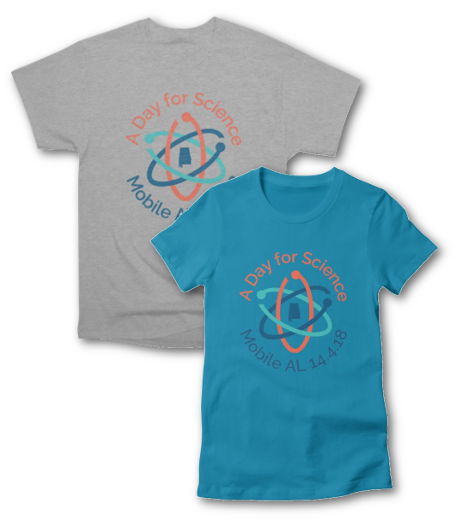 Mobile, AL, March 9, 2018 – Speakers for the 2018 March for Science Mobile event, “A Day for Science,” will be Dr. Kristine DeLong and Ben Raines. Dr. DeLong is a paleoclimatologist at Louisiana State University and a featured scientist in the documentary The Underwater Forest . The 2017 film was written and directed by Ben Raines, who is a longtime journalist at AL.com and filmmaker. This stunning film documents a unique, recently-discovered ancient cypress forest that sits nine miles off the Alabama coast in 60’ of water. Dr. DeLong is leading the scientific investigation of this incredible find. The film was co-produced by The Alabama Coastal Foundation and This is Alabama! Dr. DeLong will also bring graduate students from her lab to have a booth at the event, and will have samples of the 50,000+ year old wood for attendees to handle! Dr. DeLong’s research is focused on climate change of the past primarily in the subtropics to tropical regions for the past 130,000 years, and her field work involves dives to recover modern and fossil coral samples. She is the lead principal investigator for projects involving sediment coring and geophysical survey field operations. She is one of a few paleoclimatologists who has published multi-century long coral-based temperature reconstructions from Atlantic and Pacific corals. DeLong has published extensively on her reconstruction work as well as on the refinement, fidelity, and data analysis methods used in paleoclimatic reconstructions. Mr. Raines is well-known for nearly two decades of writing about environmental issues and natural wonders in Alabama, with much of that time spent as an investigative reporter for AL.com. He has also produced several documentaries about Alabama, with the most recent being The Underwater Forest. The film has received media attention from national and international news outlets such as NBC Nightly News, the BBC, The Washington Post, and NPR. Raines also produced America’s Amazon, a documentary about the Mobile River Basin that aired on PBS stations around the country. His underwater film work has appeared in documentaries on the Discovery Channel and National Geographic TV. The U.S. Coast Guard-licensed captain also runs fishing and sightseeing tours in the waters around Mobile. A Day for Science will take place in Bienville Square on April 14, 2018 from 9am-12pm. This free open-air science fair for all ages will feature our keynote speakers, and booths with local scientists and science-based organizations, as well as local K-12 students in a science fair poster session. There will also be a sign-making contest and a Parade for Science. Participants are invited to bring their friends, kids, a spirit of fun, and their love for science. A Day for Science gives the public a chance to meet local scientists, learn about the wide variety of fascinating science being done in our community, and advocate for the importance of science in public policy and our community. This event is an official satellite event of the national March for Science event taking place on the same day. In 2017, the first ever March for Science had over one million participants in over 600 cities worldwide, and the event in downtown Mobile drew an estimated crowd of 550. If you would like more information about this year’s event, please contact Angela Jordan at 251.680.0084 or email at mobilemarchforscience@gmail.com. Please add to any event calendars you maintain. Previous Post“Alabama transforms the way the world sees itself”Next PostHappy Pi Day!